Ford recently bumped up its coverage, with vehicles delivered from May 1, 2018 now covered by a longer warranty period. 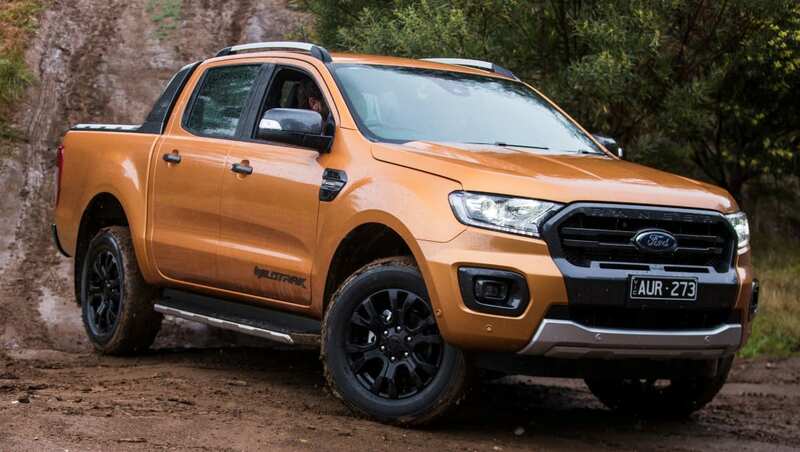 To describe the Ford Ranger as having taken Australia by storm is a little like saying sliced bread has proven something of a success. The rough and tumble Ranger has proven such a hit here, in fact, that it often finds itself duking it out with the Toyota HiLux for the title of this country's best-selling vehicle. And yes, that's overall vehicle - with the Ranger (4X4) often outperforming passenger cars and even SUVs. But while everyone knows there's plenty of excitement when buying a new vehicle, we also know that that same excitement begins to wane after a couple of months, especially if you find yourself shelling out cash for servicing, parts or anything else that might have gone wrong. And so this piece won't focus on Ranger pricing, accessories, colours or features. And nor will it focus on its engine, gearbox or driven-wheels options. Because none of that stuff matters once you've taken delivery of your new vehicle. Instead, we'll focus on what's really important to owners; the Ford Ranger warranty. The truth behind any new-car purchase, regardless of what brand you go for, is that occasionally something will go wrong. And when it does, you want to be sure you're covered. So how about we take a closer look at the Ford warranty, Australia? In good news, Ford recently bumped up its coverage, with vehicles delivered from May 1, 2018 now covered by a longer warranty period. In fact, the minimum warranty period in Australia for Ford vehicles is now five full years and unlimited kilometres, with the brand's standard warranty covering its entire line-up. But there's bad news if you purchased your car in 2017, 2016 or earlier. Your 2019 Ford Ranger five year warranty is reduced to a three year warranty if you took delivery before the May cut-off. There are, of course, some stipulations involved, and rather than risk having anything lost in translation, we've taken the most relevant bits and reproduced them here for you. In short, the Ford warranty covers any "part of the vehicle which it finds to be defective in factory materials or workmanship under normal use and operation within Australia". But it says it won't cover anything that "has become defective as a result or consequence of the owner’s failure to properly maintain, use or operate the vehicle in accordance with the recommendations and instructions, and the capacity and operating limitations, specified for the vehicle by Ford". It also might not cover faults in vehicles that aren't serviced as per the service schedule, any modified parts or vehicles or cars that have been written off. But there is a warranty transfer option for a new owner, if you sell your vehicle within the first five years of warranty. There is also a seperate corrosion warranty that covers the Ranger for rust damage, and runs a full five years. But be warned, the fine print says that your vehicle needs to have been "reasonably maintained and cared for in accordance with this guide and the owner guide supplied with the vehicle", which means if you're in the habit of charging into the ocean with your Ranger, your complaints might fall on deaf ears. Ford does take an interesting approach to roadside assistance, in that rather than offering a fixed-term agreement (say the length of the standard warranty), it instead offers a rolling 12-month agreement that resets every time you complete a scheduled service at a Ford dealer. There is a seven-year cap, but it covers everything from flat batteries to empty fuel tanks, and includes towing or flatbeds, too. There is a Ford ranger extended warranty available through individual dealerships, but it's an aftermarket warranty backed by the dealers themselves, and so might vary from shop to shop. Ford loan car program will offer a replacement vehicle while your car is being serviced or under repair, a program that runs Australia wide, and will attempt (but not guarantee) to offer you a like-for-like loan vehicle. What do you think of Ford's warranty? Let us know in the comments.